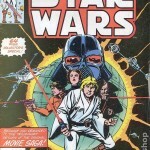 Considered the holy grail of Star Wars Comic books – issue #1 has several variations & reprints that make it difficult for a new collector to sort out. Today we’ll go over the two 1st Print Newsstand Issues, and a few of the most common reprints. 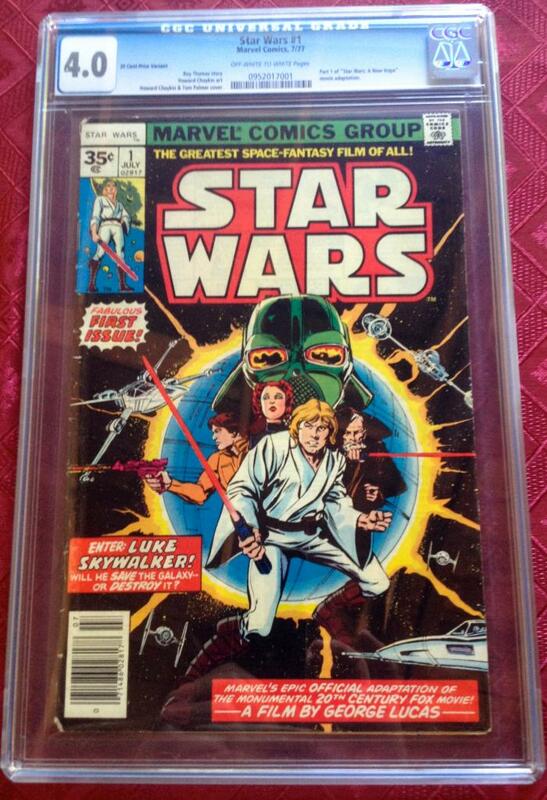 The 35-cent Star Wars #1 first print is more valuable than a 30-Cent version because only 1,500 were printed. It’s believed that only 400 copies of the 35-Cent versions still exist (Wikia). These issues have a diamond shaped price box & a UPC code on the front cover. Given the rarity and desirability of owning this version copies don’t come up for sale very often . This Star Wars #1 issue is far more common than a 35-Cent 1st Printing, however these 1st prints are still quite valuable, especially in good condition. 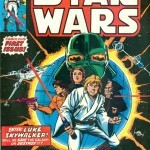 This issue has “Reprint” next to Luke Skywalker in the character box. The issue also has a UPC code. With the numerous reprint copies of Star Wars #1 floating around, make sure you know what you are buying before forking over big bucks. The original 35-Cent variation is the most desirable, but rarely is seen for sale in any quantity. Reprints still have some value, but not as much as the 1st print 30-cent version. The prices above reflect comic books already graded/slabbed by CGC – which is an added cost. If you are in the market to sell your issue – keep in mind a dealer is going to offer you 50-70% off the lowest prices above. 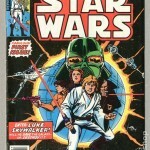 This entry was posted in Comic Book Values, Star Wars and tagged Star Wars, Star Wars #1 by Comics Watcher. Bookmark the permalink. 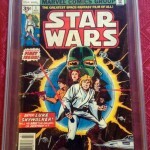 I have the # 1 STAR WARS COMIC 35 cents variant ,,square box and UPC barcode. It’s the real deal. This book should and will grade out 9.2 to 9.4. I can be reached at 901 550 1750. What would be your offer? I know this isn’t the way to negotiate but I wanted to see if we were in the same ballpark. I bought this comic in 1977 at 7 eleven in Memphis Tn. when I was 12 years old. I can depart from this book at the right price. I also have other comics that I have considered selling. I have done my research and have a an idea what the market will bare. I can be reached at the # in my post. 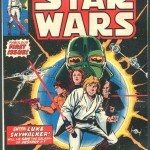 Anyone know if the sale of Star Wars #1 (.30 cent) has been increasing or decreasing in value ?? I have a .35 cent #1 Issue too. Where would I sell it at to get the best price? I have the 35 diamond #1 reprint (July 1977 ) about a 7.f No UPC .